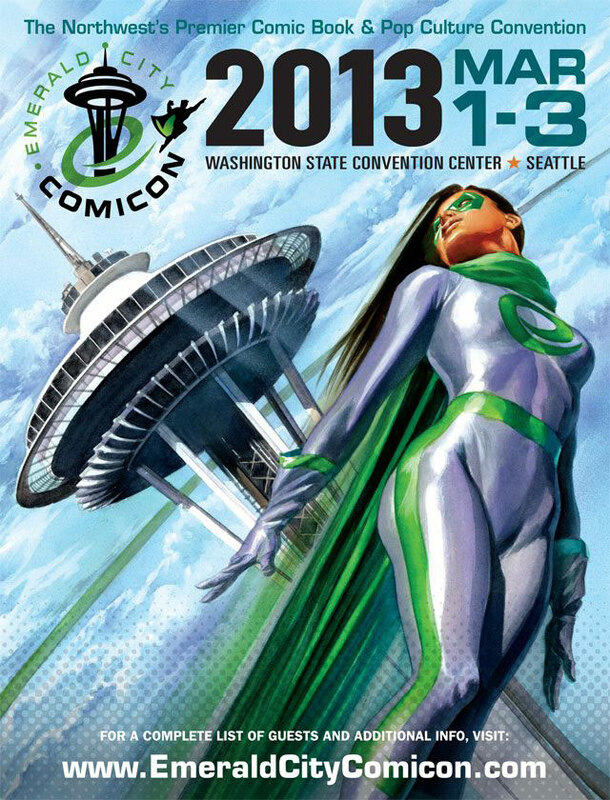 DARK HORSE ANNOUNCES EMERALD CITY COMICON 2013 SCHEDULE! February 25, MILWAUKIE, OR - Dark Horse Comics is headed to the Pacific Northwest's foremost and fastest growing pop culture convention – Emerald City Comicon. DARK HORSE SUPERHEROES, Hall B (608-610), 3:10 p.m.–4:05 p.m.
FROM THE PAGES OF HELLBOY: A CONVERSATION WITH MIKE MIGNOLA, Hall B (608-610), 4:10 p.m.–5:05 p.m.